Emma Watson has taken over the #1 spot from Heidi Klum as the most dangerous celebrity to search for on the Web. Best known for her role as Hermione Granger in the Harry Potter movie series, this British actress has grown up in the spotlight and her actions are followed by the press. Searches for the latest Emma Watson pictures and free downloads have more than a 12% chance to land on a malicious site that has tested positive for spyware, adware, spam, phishing, viruses or other malicious stuff. This year marks the first time that the entire Top 10 list is comprised of all women, and Latin women and singers pose a bigger risk than most. Amazingly, Tom Cruise, Katie Holmes, Kristen Stewart, and Robert Pattinson were all absent from this year’s list despite the publicity surrounding the Cruise-Holmes divorce and the Stewart-Pattinson cheating scandal. Cybercriminals often use the names of popular celebrities to tempt viewers to visit websites that are actually laden with malicious software. Anyone looking for the latest videos or pictures could end up with a malware-ridden computer instead of the trendy content they were expecting. 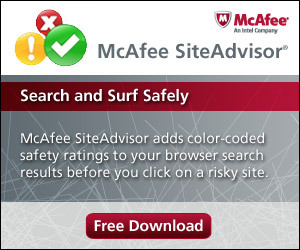 The study uses McAfee® SiteAdvisor® site ratings to identify risky websites. SiteAdvisor helps provide Internet security by adding easy color-coded ratings to your browser search results to warn you about risky sites before you click. 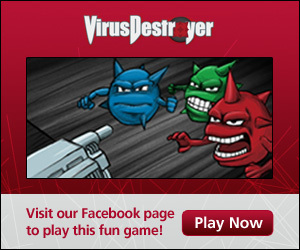 SiteAdvisor comes with all McAfee security suites that also include antivirus, anti-spyware, anti-spam and a firewall. Use comprehensive security software that is up to date with a safe search tool. To learn more about this year’s Most Dangerous Celebrities, check out our blog or press release.